As we look forward to the upcoming trends of 2016, Adobe Digital Index as released a new report that suggests Microsoft Edge and Facebook M could have a big year ahead… while smartwatches look to outgrow fitness trackers’ popularity. Looking at trends in the Internet of Things, the report finds that while Siri continues to lead in the digital personal assistant category, with more people most likely to use it in the past 30 days, 20 percent of users on social networks anticipated Facebook M the most. 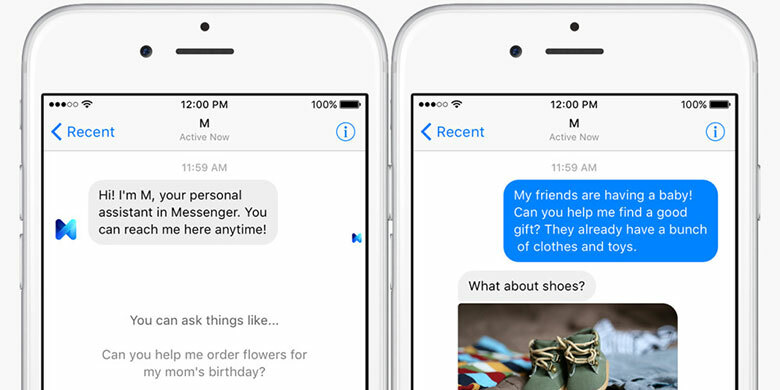 Facebook’s assistant software debuted in beta in the Bay area over the summer, and can perform more practical tasks like ordering food, suggesting gift ideas and booking dinner reservations. The anticipation could be due to the fact that Facebook M would be software-agnostic, and doesn’t require hardware like the Amazon Echo to operate. However, the report also found that many people responded positively to the Echo, and Adobe Digital Index senior data analyst Joe Martin tells us the company should look into creating a standalone app to grow adoption. On the Web browsing front, Adobe reports that nearly half of weekend traffic is coming via mobile devices at 48 percent. Martin concludes that Web weekend traffic will be predominantly mobile by the end of 2015, with smartphone traffic outpacing tablet and desktop growths 16 percent faster on the weekend than weekdays. He also predicts that weekend mobile traffic will surpass weekday’s by the end of 2016. 2015 also brought us the Microsoft Edge, which Adobe found has increased positive outlook for Windows browsers by 75 percent. Not a huge surprise, considering the other option is the fairly outdated Internet Explorer. Martin says as Windows 10 adoption continues to rise in 2016, we can expect to see this number grow and possibly outpace browsers like Firefox as well. Lastly, if you’re looking to a smartwatch this holiday, you’d be part of the 37 percent of US consumers who indicated they’d buy a smartwatch in the next six months, with reports suggesting that the Apple Watch is the most popular option followed by a Samsung Gear and Pebble Steel/Steel Time. 38 percent of consumers, however, would rather purchase a fitness tracker in the next six months. Adobe’s study was based on anonymous and aggregated data gathered by Adobe Analytics and Adobe Social, which tracked more than 20 million engagements on top social networks and 255 billion visits to branded sites. While anticipation and positivity numbers may be high for Facebook, Amazon and smartwatch manufacturers, remember – excitement doesn’t necessarily mean success. Just look at what happened with Google+.